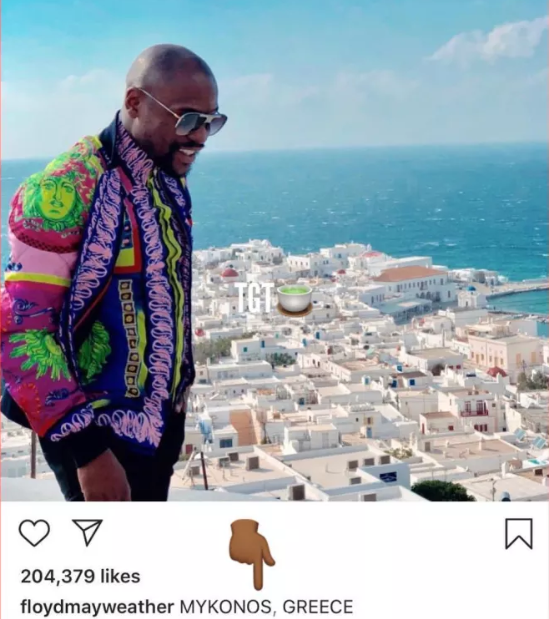 Floyd Mayweather has been touring the Globe but he isn’t doing it alone as there’s a new beautiful chick keeping him company. 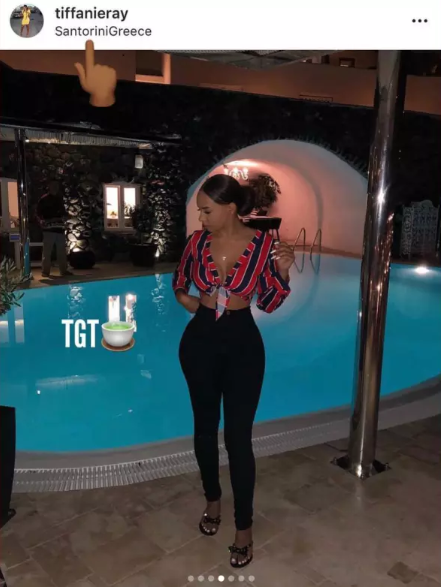 The former professional boxer has not made it known that he has a new woman in his life but several hints left on social media has given him away. 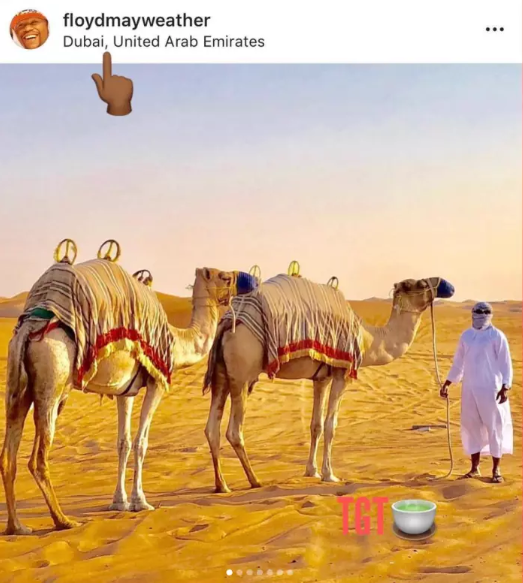 Mayweather has been sharing photos of himself globe-trotting with every of his location visible on each photo. 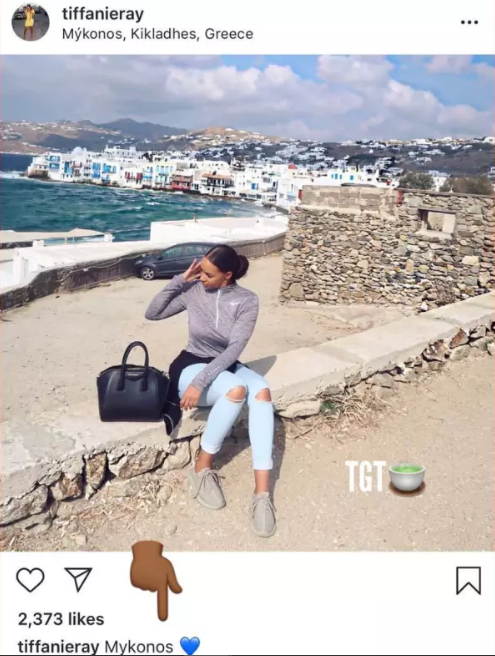 With time, eagle-eyed Instagram users noticed that where ever Floyd is at each time, a woman named Tiffany Rai is always seen there, at the same location. 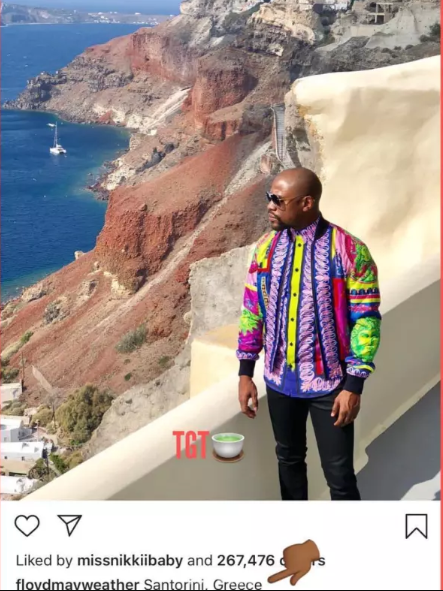 Floyd and Tiffany were both in Mykonos, Greece at the same time. They were also both in Santorini at the same time and also in Dubai. Below are receipts showing that they’ve been travelling together for a while now.